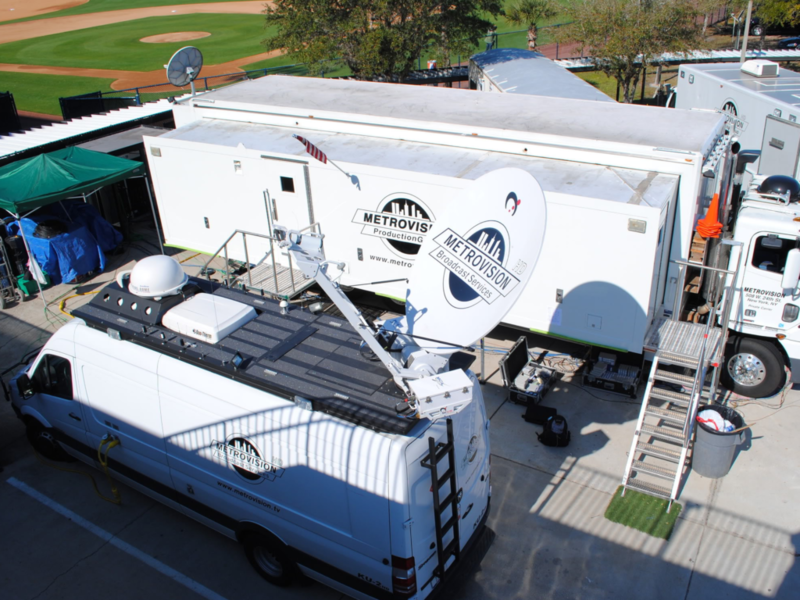 Metrovision provides transmissions solutions for a wide variety of applications-from breaking news and sporting event backhauls to business teleconferencing, Metrovision can provide a comprehensive turnkey package that includes: up linking and downlinking to and from all major satellites worldwide, point to point microwave, RF camera transmission, fiber optic services, conditional access, encoding services, fiber distribution and event transmission management services. Our ability to package, coordinate, and manage allows us to provide a reliable cost effective source of distribution. 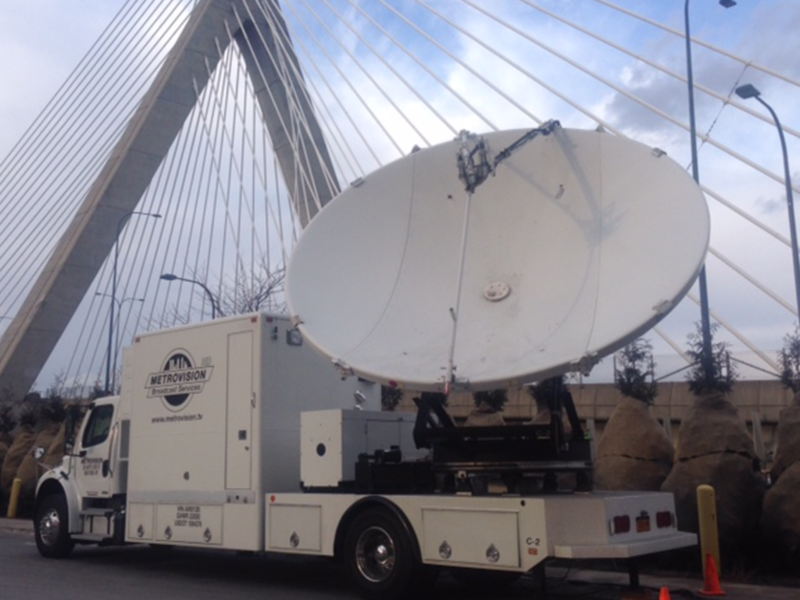 The satellite division at Metrovision Production Group is one of the leading independent providers of transmission services on the east coast. 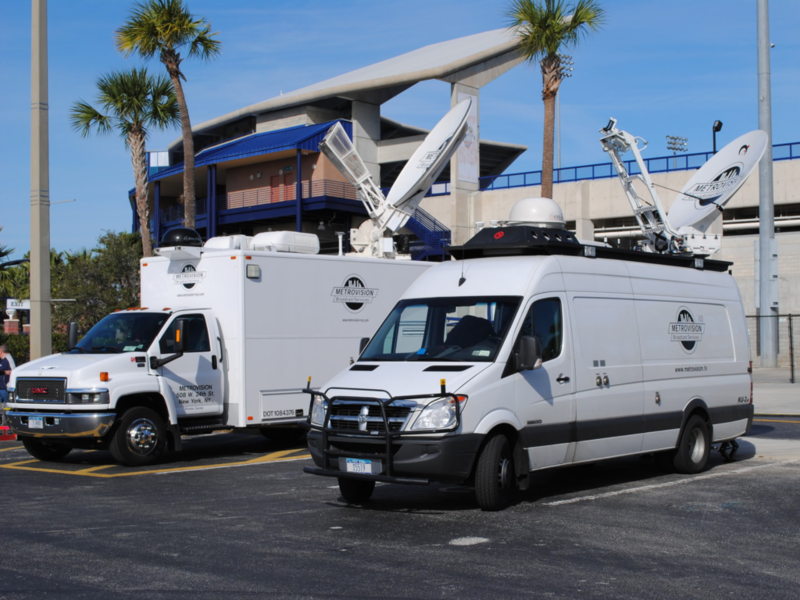 From breaking news and sports events to business teleconferencing, Metrovision can provide fast response and customized end-to-end solutions for all your transmission needs. 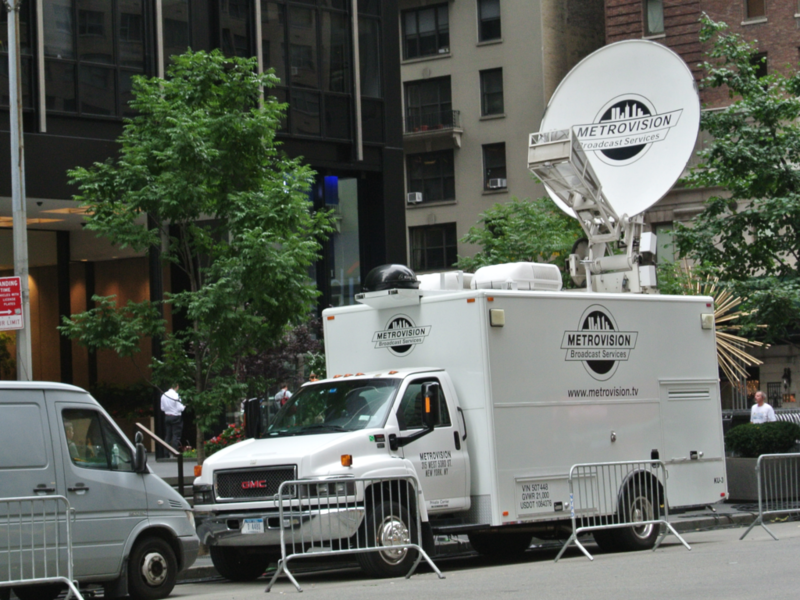 In an effort to meet the growing needs of its client base, Metrovision Production Group (MPG) added a C-Band Transmission to its list of services and capabilities, enhancing its existing fleet of KU HD Uplink and HD Mobile Production units, MPG designed, equipped and integrated a 4.5m C-Band Mobile units with state-of-the-art monitoring and HD Transmission gear including Evertz multi-image Processors, HARRIS VTM’s, Sony LCD displays and Tandberg Encoders. 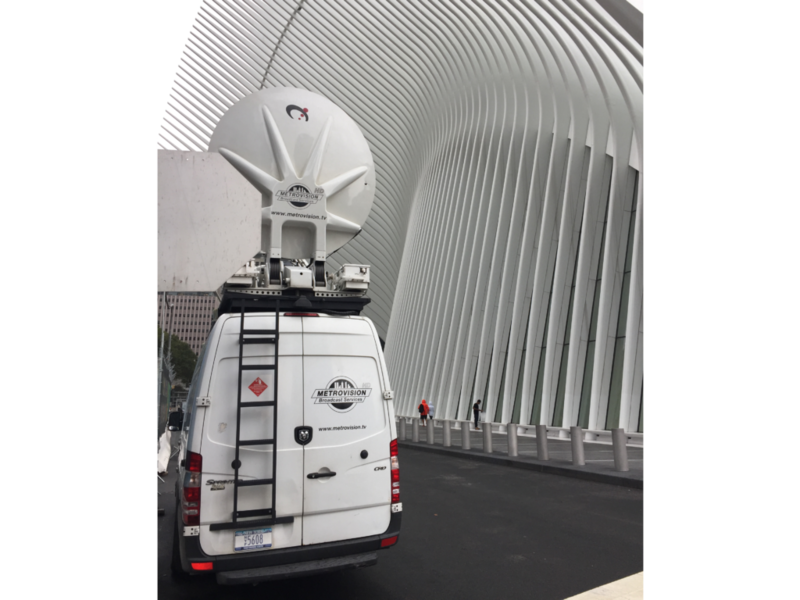 As a volume user of satellite space, Metrovision offers some of the most competitive rates for analog and digital Ku Space segments. We facilitate, book and manage domestic, transatlantic and international satellite links, C/Ku Turnarounds, and standards conversion. 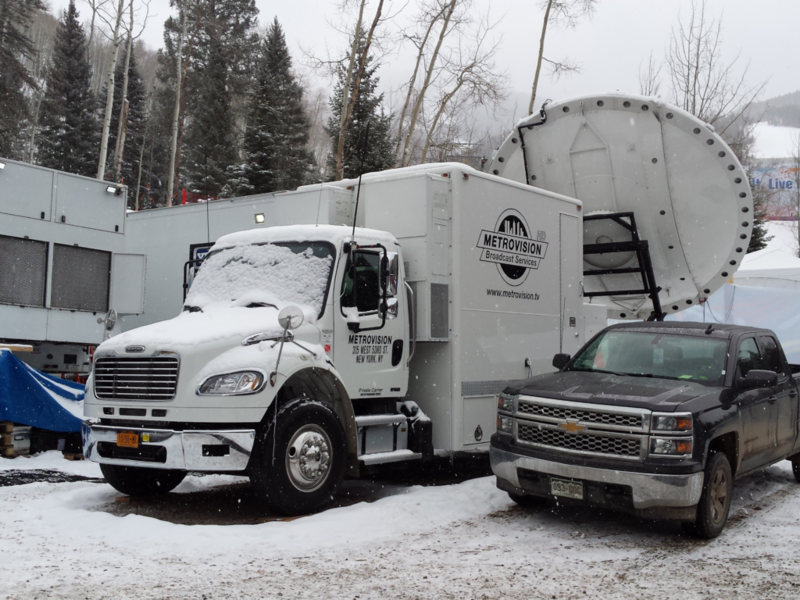 Clients in remote locations and venues rely on our stand alone HD encoders. Housed in three rugged flypack cubes as a complete system, they are designed to be shipped anywhere in the world. 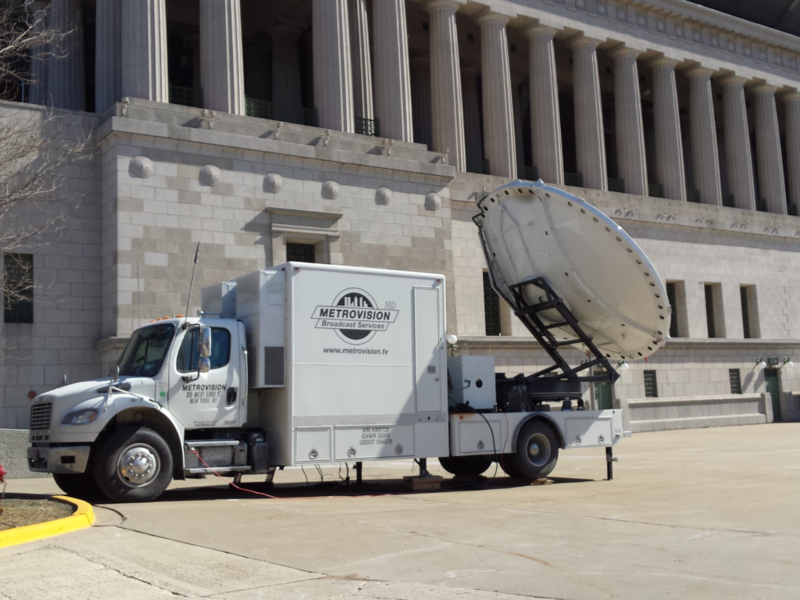 They have been engineered for quick set up and can be operational within moments of arrival. 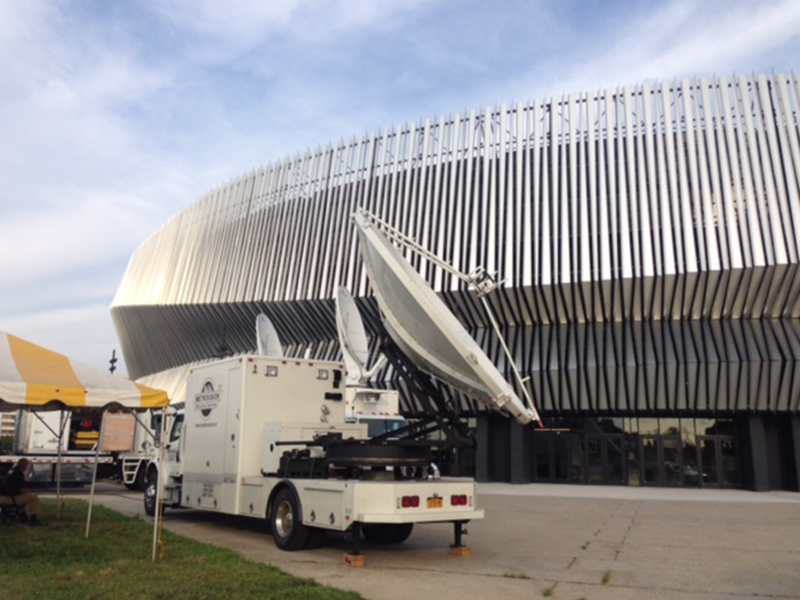 Wireless Camera link: A clip-on microwave transmitter that mounts between the camera back and battery. It uses reliable COFDM digital encoding to transmit broadcast-quality HD, SD/SDI or video, with up to eight channels of embedded digital audio and two channels of analog audio. No way to cable a camera to a truck or flypack? 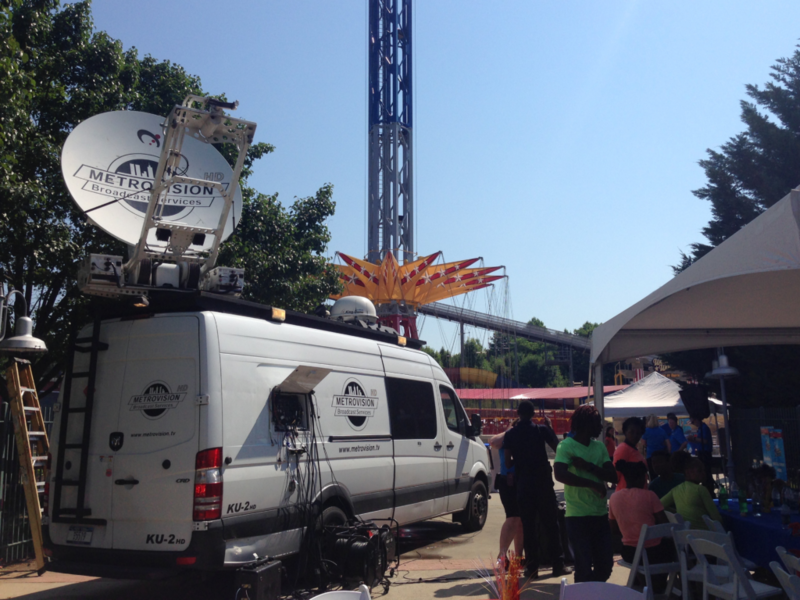 Our Wireless Camera Links make it no problem. Metrovision is often the first call for providing broadcasters with Master Control Rooms (MCRs) and pool feed services - bringing technology and the familiar surroundings of the newsroom to any location.Thoroughness, redundancy and impeccable attention to detail are three qualities which clients value most when they call us to action.